A clinical second-half performance which saw two goals in as many minutes gave the Fleet their second successive win in the north-east. With Lance Cronin’s loan extended to the end of April due to Preston Edwards’ ankle injury, which rules him out for the rest of the season, Fleet were forced into that change while also welcoming back Joe Howe and Michael West to the starting line-up. Darlington, without a win in 11 games, fielded debutant Paul Johnson, on loan from Hartlepool, and were looking to build on a good draw at home to Luton in midweek. And they started well enough, John McReady’s pace forcing Paul Lorraine into the referee’s book within the first 10 minutes, while the dangerous Ryan Bowman had a shot blocked in the six-yard box. 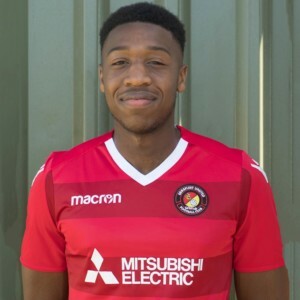 But after an unspectacular start, Fleet’s pace up front began to tell and Gozie Ugwu tested the Quakers’ defence on 21 minutes, controlling a ball in from West and drawing a full-stretch save from goalkeeper Jordan Pickford. Ricky Shakes also got round Pickford but the angle was too wide and he fired past the post. At the other end, Cronin had to be alert as he saved low when McReady fed Bowman, whose shot on the turn was on target. And Cronin was in action again, Neil Wainwright supplying Bowman who found the Fleet keeper in good form. Shakes forced Pickford to turn his shot behind for another corner as both sides looked good going forward though the home side had the edge as they probed for an opening. They enjoyed plenty of possession and from one excellent build-up, Wainwright found space and loosed off a decent shot that hit Bowman on its path to goal. Still play went from end-to-end and five minutes before half-time, the Darlington midfield opened up as Fleet broke from a free-kick and Pickford had to thwart Ugwu. 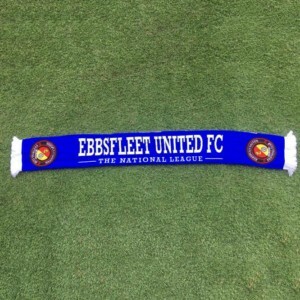 Fleet were almost undone on the stroke of half-time when Craig Stone fouled Bowman. Aaron Brown’s clever free-kick was played around the wall to Wainwright and had to be hastily scrambled to safety. The second half was a much different affair as a controlled Fleet took advantage of some lazy Darlington defending to strike twice in the first five minutes. On 49 minutes, Stone’s long free-kick through the middle made its way to Ugwu and he found Liam Enver-Marum in space on the edge of the six-yard box who turned the ball past Pickford. Darlington barely had time to catch breath before Fleet repeated the trick a minute later. This time roles were reversed as another free-kick was hit low by Enver-Marum into the box and Ugwu stretched to poke it home for 2-0. Darlington had chances to reduce arrears, most noticeably a fine right-footed shot from Bowman that beat Cronin but struck the crossbar. Adam Rundle also had an opportunity scrambled away by the Fleet defence and Johnson’s header from a Clark Keltie cross was well held by Cronin. Shakes could have wrapped things up for the Fleet with a run into the box and after his first shot was blocked, he rasped a second just over the bar. 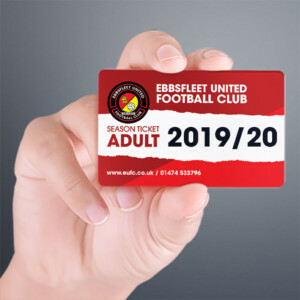 Heads down, the luckless home side seemed to run out of ideas and Liam Daish gave Liam Bellamy and Nathaniel Pinney runouts as the Fleet saw the game out without undue effort to record another very well-earned three points on the road. TEAM: Cronin, Stone, Howe, Lorraine, Smith, Barrett, Phipp (Bellamy 63), West (Pinney 79), Shakes, Enver-Marum, Ugwu (Azeez 90). Subs not used: McNeil, Herd. Paul Lorraine won man of the match on Tuesday. Vote now for today’s, using drop-down menu above.